Tara Retail Group owns the mall and is headed by developer Bill Abruzzino, who filed for bankruptcy in January. A federal bankruptcy judge this month approved a financing plan for the new bridge. The mall has been closed since floodwaters knocked out the bridge last June. Dozens of businesses have closed and more than 500 people are out of work. The floods killed 23 people statewide. 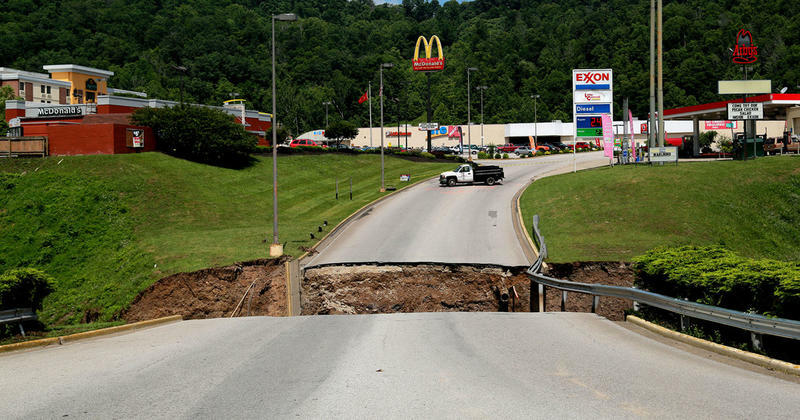 A last-minute bankruptcy filing has halted the sale of an Elkview shopping center that has been marooned and shuttered since a crucial access bridge was washed away by flooding last summer. A group was forming on the steps of the Kanawha County Courthouse on Tuesday to participate in an auction for the Crossings Mall property, but the scheduled sale was called off after the mall owners filed for Chapter 11 bankruptcy. A shopping center where a bridge was washed away by flooding last summer is to be sold at public auction. The Charleston Gazette-Mail reports Elkview Crossings Mall is scheduled for trustee's sale at 1:30 p.m. Jan. 24.